A fast-paced international thriller in the vein of Janet Evanovich by former NPR anchor and correspondent Mary Louise Kelly, about a Pakistani terrorist’s nuclear threat to blow up the White House. Intent on escaping the demons of her past, Alex knows how to outwork, outdrink, and outshop anyone else around. Now she is focused on what could be “the story of a lifetime”—chasing leads from Harvard Yard to the courtyards of Cambridge, England, from a clandestine rendezvous in London to the inside of a nuclear terrorist network. But when she goes to Washington, DC, for a key interview that promises to tie everything together, Alex the hunter becomes Alex the hunted. An assassin is dispatched…her laptop disappears…her phone is tapped…and she begins to grasp that Thom Carlyle may have been killed to hide a terrifying conspiracy within the White House itself. 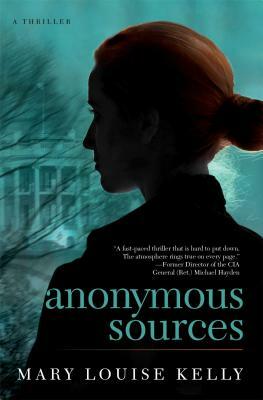 Former NPR Intelligence correspondent Mary Louise Kelly has turned her own real-life reporting adventures into fiction with this stylish spy thriller.